My little family made a trek back to the midwest for Christmas this year. First stop, Peoria for some time with my family. Then to St. Louis for time with the Seats' side. I am grateful that we narrowly missed some very bad weather (an ice/snow storm preceded our visit, and a terrible wind storm occurred the day after we left), and still got to enjoy a White Christmas in the Midwest. 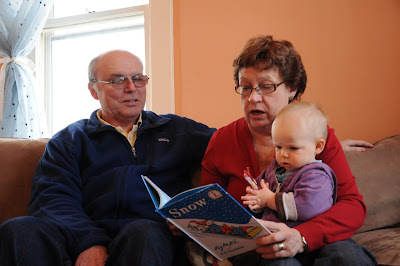 1st picture is of Isla with Grandma and Grandpa reading one of my favorite childhood books "Snow!" 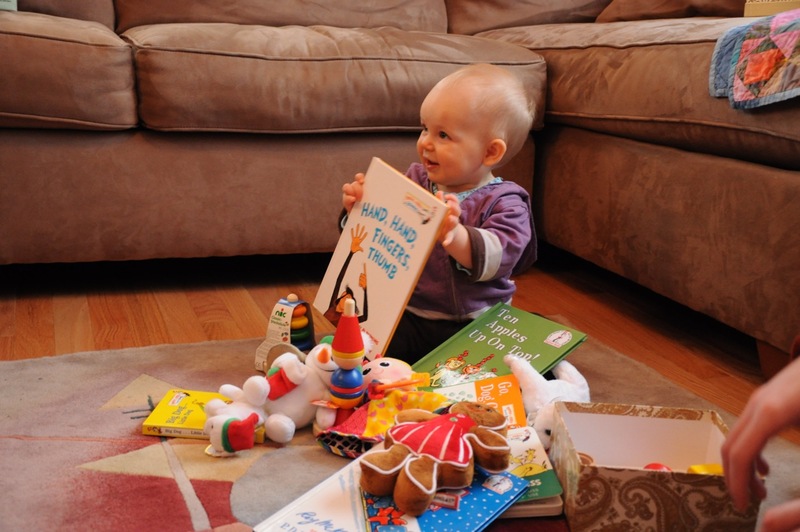 And here's Isla with all her loot. Christmas eve at Grandma and Grandpa's house in Cahokia. 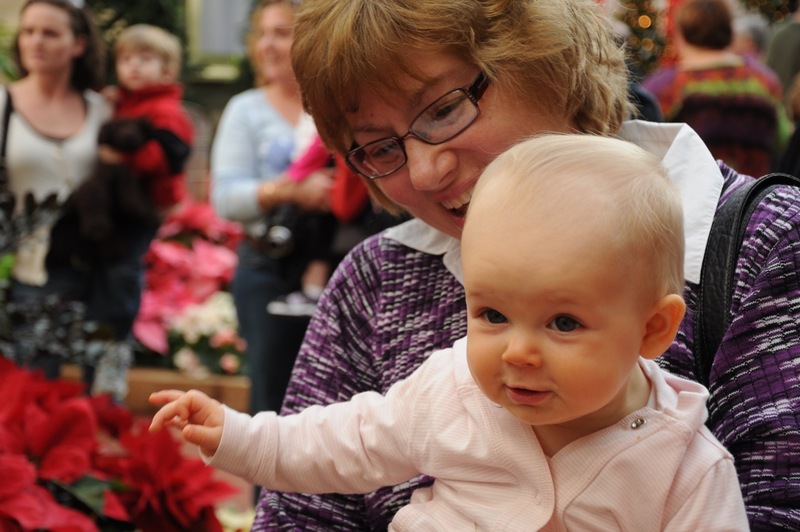 On our last day in St. Louis we went to the Botanical Garden train exhibit with Grandma Dolores. Unfortunately, this trip wore me down. 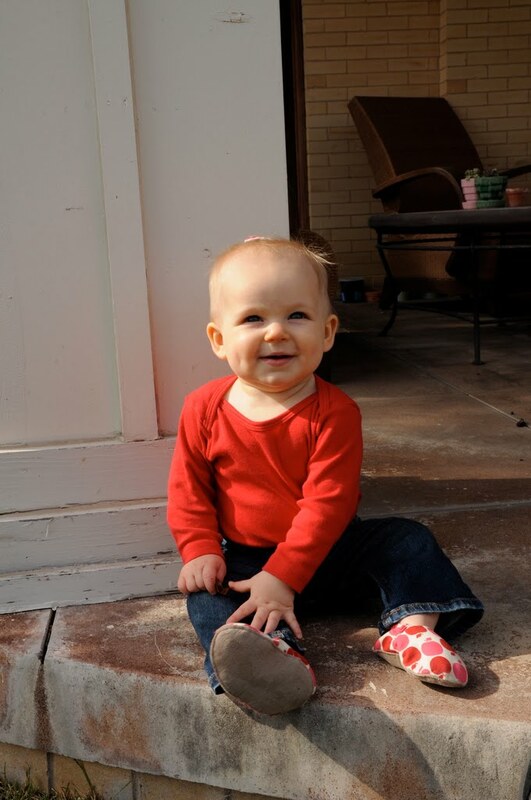 First, Isla and Jason were hit with a bad head cold, which caught up with me later in the week. 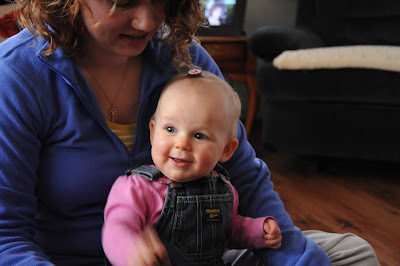 During our holiday there were multiple nights of multiple baby wake-ups. After all the packing, bundling up, unpacking, repacking, bundling... well, I was worn down and ready to head home. When we got back to San Antonio we were greeted with 70 degree weather. Isla was so happy, sinuses drained, and we played outside on the lanai.